Rishikesh by the government of Uttarkhand. The Religious Community Vaidika Pratisthana Sangha. 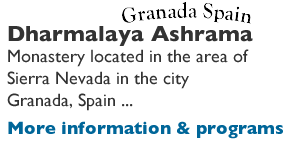 Hindu Community of Vedic Dharma, Spain, is a Religious Entity registered under article 5 of the Organic Law 7/1980 of Religious Freedom by the Ministry of Justice and with number 1635-SG/A from the General Section, Group A. In the same Registration the Hindu Temple is figured as a place of worship. 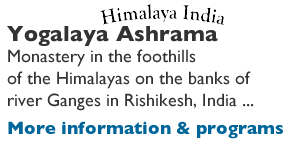 It´s aim is to spread and promote the wisdom that comes from the culture and knowledge of the Vedas and their millenary tradition, such as Dharma, Yoga, Ayurveda , Tantra, Vedanta philosophy, Vyayam Yoga, Vastu, Jyotisha, etc. All the activities developed directly by the Vedic Foundation are taught by trainers and teachers of different ranks, who are in Continuing Training courses. All the preparers and teachers who conduct the various programs on behalf of the Vedic Foundation of Spain they do it under the spirit of service. The aim of the foundation is to diffuse the Dharma (religion and culture) of the Vedas and its different disciplines like Vedanta philosophy, Tantra, Yoga, Ayurvedic Medicine, Meditation and the magical practice of Vyayam. Its origin in Europe goes back to 1978 when the venerable monk master Swami Tilak established its pillars in Spain, with his disciple the venerable monk master Swami Shankaratilaka. 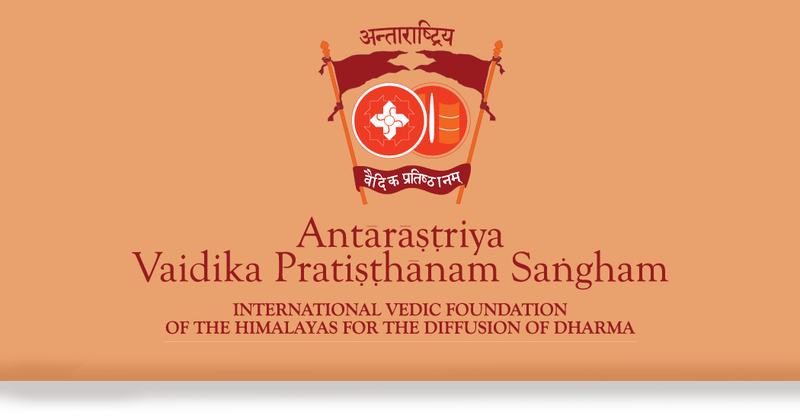 The Vaidika Pratisthana Sangha - Hinduist Community of the Vedic Dharma of New Zealand (VPS NZ), withaddress 355, East Coast Road, Mairangi Bay – 0630 Auckland, Registered Charitable Trust (Registration Number CC54088) under the Charity Law of New Zealand. The purpose of the VPS NZ is to promote and diffuse Hindu Religion and Vedic Dharma, promoting Spirituality, Yoga, Education, Health and Environmental Awareness, in New Zealand; for the benefit of men and women of any age and extraction to improve quality of life, personal happiness and well-being. The activities of the VPS NZ are exclusively no-profit and include physical, mental, emotional and spiritual training and counseling in support of stress relief, self-confidence, self-awareness, personal growth, strength, flexibility and health.